When I was planning my vacation in Miami, before picking out my bikinis to sport on the beach, I knew where my first destination would be: Barton G. The popular restaurant, which has locations in both Miami Beach and Los Angeles, is not your typical food experience. The out-of-the-box dishes tinker with your imagination and push the limits of what a typical meal “should be.” Each drink, appetizer, entree, and dessert is crafted with a fun twist; not only is the food itself delectable, but the way that the meal is presented is an entire production of its own. My recent dining experience at Barton G in Miami completely exceeded my expectations (although I’m quite impartial, since my friends--Ariel and Jacob--and I got a private kitchen tour in order to give you the inside scoop for this article). In the kitchen, I watched as a chef concocted the “Buddhalicious” martini, made with Absolut Pear Vodka, lychee purée, cranberry, and club soda. The drink released an ethereal puff of liquid nitrogen into the air and was paired with a divine-looking gold Buddha sculpture. Can you say, “om”? The appetizers are just as fun to both glance at and indulge in. “The Devil’s Egg” dish specifically caught my attention: white truffle whipped deviled eggs topped with togarashi bacon crumble, crisp garlic, fresh black truffles, and garden herbs. Not to mention, the eggs were housed in an egg carton inside of a chicken coop with a small hen figure. The “Lobster Pop-Tarts” were also a stand-out edible production; the delectable dish itself is lobster and fontina Mornay sauce baked in flakey phyllo with tabasco hollandaise and tarragon aioli. The most entertaining part? The pop tarts are literally popping out of a toaster right before your eyes. Talk about a show! Each entree that arrived at my table was more exciting than the next. The first dish that arrived for the main course was the “Samurai Tuna,” which was carved togarashi seared tuna with coconut laced carrot puree, charred corn, sweet pepper confit, and thai basil sabayon. But...wait for it...there was a sword shooting down the center of the board that the meal was served on! Even crazier, the “Miss Thai-Gone”--golden fried local snapper and tempura vegetables with flash marinated kimchi bok choy and Pad Thai noodle salad--arrived with a giant fork piercing the display! Forget silverware, this dish is worthy of the gold! Next came dessert, which I got a behind-the-scenes peek at during my kitchen tour. 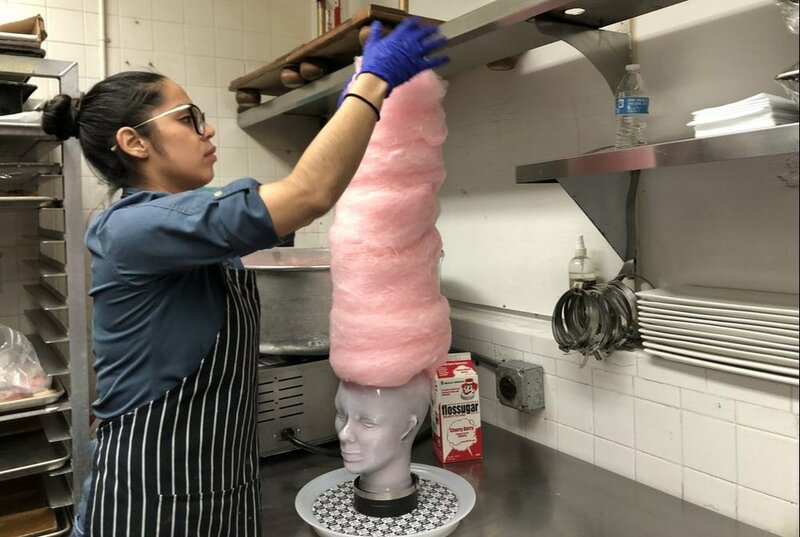 In the back, I watched as a lady spun cotton candy for the restaurant’s famous “Marie Antoinette’s Head--Let Them Eat Cake.” The plate displayed a towering cotton candy pompadour, yesteryear candy, and a Bananas Foster shake topped with vanilla panna cotta, a gianduja brown, caramelized banana cream, and Chantilly. Sugar high accomplished. Barton G’s dining experience was far from ordinary, yet its whimsical ways of presenting its dishes seem to work in all the right ways. 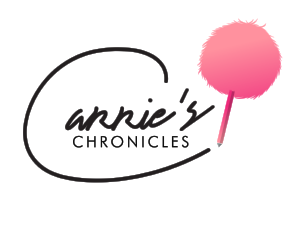 The restaurant has secured the perfect combo of flavor and innovation that makes it a must-visit for out-of-towners (and of course for homebodies who are lucky enough to live near such a fabulous spot) in the Miami area. But make sure to arrive with an empty stomach and don’t set any expectations...just prepare to have your mind blown. Me, Ariel, and Jacob with the "Samurai Tuna" dish.